After their initial visit to the hospital where Rena has daily physical therapy, she and Olivia meet hospital volunteer, Martin ‘Marty’ Knight as they leave. Marty is concerned about the sadness in Rena’s eyes and tries to cheer her up as he helps her into the car. He is shocked to find out that Rena’s injuries and the death of her mother were caused by the same weather-related, multi-vehicle accident that claimed the life of his best friend, Victor Roddy. During Marty and Rena’s conversation, Olivia finds herself staring at the man, convinced they have met before. She just cannot remember where. Marty also cast several glances in Olivia’s direction trying to figure out why she looks so familiar. His memory fails him. As the story unfolds, Marty Knight will not only become a good friend and ‘grandfather’ to Rena, he will play a pivotal role in Olivia Chandler sorting out her past…and navigating her future. Marital Status: Widower. Wife, Sarah, passed away three years ago after a difficult battle with liver cancer. Sarah died two weeks after their 50th wedding anniversary. Has five children and eleven grandchildren. A veteran of the Vietnam War. Entered the war near its beginning and served four years. Received a Purple Heart and Medal Honor. Enjoys building miniatures, fly fishing, and watching westerns. Carries a keychain with a picture of his wife on one side, and a picture of his dog on the other. His dog passed away two months after his wife, at the age of 16. Sarah named the dog Dwight because she was convinced he looked like Dwight D Eisenhower. Court-appointed child advocate attorney Olivia Chandler is the answer to their prayers. They’re moved by her genuineness and promise to “do right by Rena.” There is an immediate bond between the attorney and her young client, and Marissa cannot help but wonder if it has more to do with the flashes of sadness she sees in Olivia’s eyes than with simple job commitment. Courtney (Caucasian) and Marissa (African-American) are an Interracial couple who haven’t suffered much of the disdain shown to interracial couples by some of society due to their steadfast commitment to each other and the love and total support of their families. When I began writing Free, a Novella in early spring of 2016, it was supposed to be a 3-4 installment short story with Lenore Porter remembering the breakdown of her marriage as she finalizes the sale of her home. Honestly, it was writing practice. I was working on my debut novel, In the Best Interest of the Child and kept stalling out and hitting walls. So, Free was supposed to be a little pseudo-flash fiction to keep me writing. I posted the second installment and had already began the ending of Lenore’s story, when on April 8, 2016, my mister went into renal failure. His kidneys could not be saved and everything changed from that day forward… the addition of hemodialysis, his employment status, his diet, his daily medication regimen… and my stress level. As I sat in hospital rooms, dialysis units, and doctor’s offices over the next few weeks, Lenore Porter’s story changed too. Best Interest was still my focus, but Lenore would not be ignored. I continued to post installments of varying lengths on my author page, but the once-a-week postings died a quick death. I moved the release date of Best Interest twice and attempted to push Lenore’s story to the back burner. The mister’s fistula implant was a problem from the beginning, making dialysis difficult. By the time we’d made all the rounds for MRIs, ultrasounds and vascular procedures and found some semblance of normalcy, it was Halloween. Best Interest was published and I was exhausted. And… Lennie Porter was standing in the corner giving me the duckface. I didn’t have much of a current word count for Free, but what I did have was sixty-one pages of notes! As I organized and typed up the notes, the story continued to change. It was clear by the time I had a working MS, oldest son Duncan Porter would need counseling to get past his issues with his absent father to avoid lasting emotional trauma. As a character-driven writer, I generally sketch out characters before adding them to any story. That wasn’t necessary this time. While Free, a Novella is a work of fiction, the characters of psychologist James Richie and his wife/receptionist, Alice, are not fictional characters. James ‘Pas’ Richie was my mentor, father-confessor, co-conspirator in epic pranks, and at one time, my boss. He and Alice were like family and can be seen as often in my family photo albums as my mother. James ‘Pas’ Richie on the left, Alice Richie on the right, and my mom, Helen, in the center. It’s obvious by his expression that Pas was quite a character. In Free, Pas, is a retired minister with a successful practice in clinical psychology specializing in treating men and boys. In real life, Pas was a minister for the West Michigan Conference of the United Methodist Church. However, he didn’t receive the call to the ministry until well after his fiftieth birthday and put aside his career and degree in chemistry to enter the seminary. You didn’t have to attend his church… or any church… for Pas to lend a helping hand. Many who regularly attended other churches would find their way to his office when needing to talk. I don’t know if Pas solved any of their problems. Like Lenore Porter’s parents, Burt and Linda Kelimore, Pas and Alice were together over fifty years. And the banter was epic! In addition to his pastoral duties, Pas was the executive director of a local community outreach ministry, and Alice was a regular volunteer. The days when Alice came in were the best days! Their banter was amazing, rocket fast… and hilarious. Over the years, through trials and tribulations in both our families, the Richie banter was an anchor for us all—as long as we could still laugh, everything would be okay–and their marriage was the model for couples newly married or married for decades. After almost ten years, life broke up our small family circle, taking us in different directions, but the Richies and I stayed in regular—my children would say constant—contact. Plans were put in motion for them to visit Arizona after Pas retired, which he did in January 2015. After a short search, Pas and Alice relocated to a small town in central Georgia which put them close to their three children and grandchildren. Pas became ill while he and Alice were getting settled with what was first believed to be an upper respiratory infection. The next year would see Pas hospitalized… and in a coma for several months. But being the incredible man he was, James Richie came out of the coma, moved to a rehab center and learned to walk and talk again. He was discharged and went home to regain his driving privileges. He even went back to swimming three times a week. Even a coma couldn’t keep Pas down for long. Pas and Alice took a vacation to visit their children, and attended several social events, including one held by my family in Georgia. I was encouraged. Alice said he still had a long road ahead of him to regain his strength, but they would get to Arizona. Things in Arizona weren’t going as well. Dialysis was still difficult for the mister and his blood pressure stayed at stroke levels despite several daily medications. Alice called one evening and knew by my tone of voice something was wrong. We talked quite a while. I ended the call with a promise to call her in a couple of days after the mister saw a vascular surgeon. Of course, she told Pas. He called early the next morning. Though the mass found at the base of his throat was benign, he still wasn’t strong enough for surgery to remove it. And it caused other problems. His voice was raw raspy and it hurt me to hear him speak. I tried to rush him off the phone. But Pas wasn’t having it. He called to pray with me and the mister… and he did. It was the last time I talked to him. Ten days later, he was gone… June 14, 2016. Loss is a part of life and we all experience it. I’d already lost my father and a brother, but when Alice called me with the news, something inside me broke. Suffice it to say, I managed to keep it together enough to take care of the mister, but I lost the fight with depression and spiraled for over three months. This is why the release date for Best Interest was delayed… twice. This is also why (and how) Pas and Alice became part of Free. It took another four months to complete Free. Not because it’s long, in-depth or complicated. It was simply very emotional. I didn’t tell my family I’d added a bit of real life to Free until it was completed, and I still didn’t allow them to read it. I published it on May 30th and immediately began the formatting for print. I received the proofs a week later. I signed a copy, stuck a note inside and sent it to Alice Richie. I hadn’t told her what I’d done either. I was a little nervous with it being the first anniversary of Pas’ passing, but pushed it to the back of my mind and tried to concentrate on writing. I was caught off guard a couple of weeks later when I answered my phone without looking at the caller ID… something I never do. It wasn’t an instant cure-all, but for the first time in a year, thinking of my dear friend didn’t cause me pain. Alice’s words were the best review I’ll ever receive for Free… and that’s enough for me. Memorial Day Weekend 2012 at the Richie home in Cassopolis, Michigan. It was our last time together. I moved to Arizona two weeks later. So, if by chance you read Free, just remember James and Alice Richie aren’t fictional characters and their dialogue isn’t scripted or contrived. Their words were real, spoken in another time when life was a little easier and less burdensome. This was one of Pas’ favorite songs. Disclaimer: I have no copyrights to the song and/or video and/or hyperlinks to songs and/or videos directly above. No copyright infringement intended. The two women worked together in silence on opposite sides of the large kitchen island. Linda Kelimore stirred the peach filling, tasting and adding more sugar, while Lennie readied the dough pockets for the fried pies. Lennie paused from punching and rolling the dough and frowned. Lennie’s face heated hearing her mother’s words. Laying the rolling pin aside, she wiped her hands and grabbed a bottled water from the fridge. After several sips, she looked pointedly at her mother. Linda continued stirring the large pan of fruit but regarded her daughter with an understanding smile. Eyes widening, Lennie sat the bottle of water on the counter and leaned toward Linda Kelimore. Covering the pot with a lid, Linda removed it from the stove top burner and set it aside to cool. Linda popped from around the island counter, dancing toward her daughter. “How is this awkward, sweetie? We’re just two old married ladies discussing life!” Wiggling her eyebrows, the older woman gracefully slid from side to side, dropped into a squat and bounced back up, perfectly executing the Cabbage Patch. Screaming, Lenore Porter clamped her hands over her ears. “Mom! TMI! TMI! This conversation is over!” She watched her mother dance in her direction and Lennie turned and fled from the kitchen in a very quick waddle. Laughing to herself, eyes still on the door her pregnant daughter just hurried through, Linda plopped down on a counter bar stool. She was proud of her performance. She succeeded in taking Lennie’s mind off her troubles… if only for a little while. Linda wasn’t a fan of Ranard Porter. If she were being honest, she didn’t like him and felt he was not the man her daughter needed. But it wasn’t her call. Lennie chose and married him. In a few weeks, the young couple would be new parents. No matter what her personal feelings were, Linda would never do anything to hurt her oldest child. And Ranard had better not either. Catch up of Free using the links below! Leaning forward and resting her elbows on her knees, Lennie stared across the empty living room. The day Duncan ran from her had been one of her most painful. He had always been a high-spirited child. More prone to wander, break a rule, or lead his younger brothers astray. However, he’d never done anything that warranted more than a time-out. Duncan had never been cruel to anyone or deliberately put anyone in harm’s way. Had someone told Lennie the argument in the high school parking lot with her son would take place, she would have thought them crazy. Insistent on not entering counseling, Duncan had run from Lennie. The anger building inside her at his disrespectful tone dissipated immediately at her last glimpse of his eyes. Confusion. Pain. And fear. Lennie had seen it all in her son’s face and was even more determined to get him to a therapist. 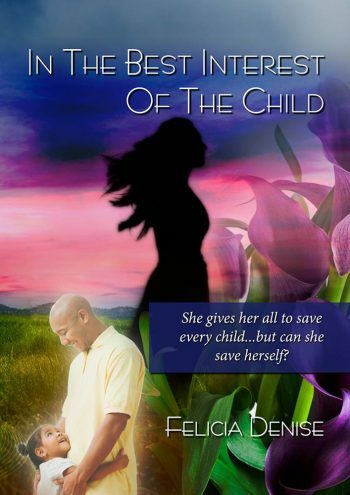 She would not allow this to scar his life…not if she could help. Ranard had received no help for the verbally abusive childhood he had because of his father. Lennie knew his failures as a husband and father were directly related to his relationship with his father. Duncan deserved a better life. The memory seemed to be on rewind in Lennie’s mind. Sitting in her Chevy Tahoe, still taking glances in the direction Duncan had taken. She wanted him to come back…but knew he wouldn’t. The despair Lennie knew he felt would now be enhanced by the shame of his behavior with her. Still thinking about the situation with her eldest son, Lenore Porter absently drove home. Pulling her vehicle into the garage, she exited and went through the garage’s rear entrance to her back door…and found Duncan sitting in an old swing. He shook his head slowly without meeting her gaze. Lennie’s chest tightened. He had not called her that since second grade. Sitting her bag at the bag door, Lennie walked over and took the swing next to Duncan. They both silently rocked for a few minutes. “Can you make me another appointment with the shrink?” Duncan laughed at the smirk on her face. “Okay, okay. Counselor, therapist…whatever. I still don’t want to go, but I’ve let you down enough.” He looked at his feet. Nodding, the teen stood and headed for the back door, but turned suddenly. He walked back and kissed his mother’s forehead, and still silent, headed into the house. Smiling as he kissed her, Lenore’s smile faded instantly as Duncan walked away. Her son was angry…and afraid. The past had scarred them all. With ten minutes to spare, the Porters entered the restored Victorian home bearing the address of James Richie’s therapy practice. Neither of them knew what to expect, but Lennie watched Duncan visibly relax as they walked through the reception area. The muted earth tones and overstuffed furniture gave the office a homey feel. A low counter ran the length of the room, and an older, African-American woman sat behind it, finishing a phone call. Turning to greet them with a warm smile, Lennie was momentarily taken aback. The resemblance to her deceased aunt was incredible. Diane Clayton had worn her dark brown/gray hair in a simple flip for most of Lennie’s life. This woman wore her salt and pepper hair a short, natural style. Other than the hair, the two women would have been twins. Lenore stifled a laugh at the shy guy her big kid had suddenly become. Lennie laughed with her son this time. “Pas. I like that.” Still nodding to himself, Duncan joined his mother who was already seated completing the paperwork. Fighting the urge to look at her son, Lennie could still tell he was not the same boy she’d found in their backyard. If his wife was this good at putting patients at ease, Lennie was cautiously optimistic at what James Richie could do for Duncan. New client packet completed, Lennie and Duncan sat quietly discussing ideas for dinner, when a door on the far side of the room opened. A teenage boy a couple of years younger than Duncan appeared first. His thick dark hair was just long enough in the back to curl towards his collar, but in the front long dark curls nearly covered his eyes. But you couldn’t miss the smile on his face. A couple followed him, older than Lennie, and they also seemed quite pleased. The last figure through the door was an extremely tall and bald African-American man. He moved easily through the reception area, calling out to the boy. Jonah was standing at the counter, having already retrieved a card from Alice for his next appointment. “Tacos? Yeah!” Jonah rushed towards the door, and it was then he noticed Duncan for the first time. Everyone in the office laughed as the family left. Everyone except Alice Richie. “You’ve been eating candy. As I look back, the spikes in your blood sugar all make sense now. Always at the end of the day…after seeing certain clients. Alice struck a pose, batting her eyelashes. Lennie and her son had stopped trying to cover their mouths and stifle their laughter. His wife smiled lovingly at James, shaking her head at his antics. “Oh yes, it’s true. After we were married, guess who became diabetic?” The retired pastor’s dancing eyebrows made Duncan laugh aloud. “And you ‘caught’ it from your wife?” Lennie smirked, not hiding her skepticism. Duncan scrubbed his hand down his face next to his mother who was shaking her head. Glaring at his wife while taking the file she was holding out to him, James walked over to the Porters, bowing. A laughing Duncan Porter heads towards the office, but Lennie remains seated. James frowns. “Mom?” Rolling his eyes dramatically, Duncan walks back to her and reaches out his hand. Trying to shake her own fears and anxiety, Lennie accepted her son’s still outstretched hand and walked with him into the office, suddenly not sure who needed help more – Duncan or her.